Vegetables that resemble carrots, are white and very well processed into food. Aside from being nutritious, this vegetable called turnip is good for use as a medicinal ingredient and contains other benefits. First developed in China, radishes then developed into Europe and have now spread in various countries. Vegetables that have size, color, and variety of taste can be consumed raw. Radish grows quickly and even some types can be consumed after a month is planted. In addition, these vegetables can grow well in sandy clay environments because they can still grow as long as they get sunlight. These vegetables are generally white with different root colors in each type, ranging from purple, yellow, red, to green. If you find radish that tastes bitter, then this plant is harvested too late or too long in the soil. While radishes that are harvested on time usually taste sweet and crunchy. There is also a type of radish that contains isothiocyanate, glucosinolate, and myrosinase so that it has a spicy taste. What are the Specials of Radish? So many benefits that can be obtained from the consumption of radishes which are very much nutritious. In addition, there is still utilization of radish processing for the benefit of the agricultural industry, disease prevention, and technology. In every 100 grams of radish contains 16 kcal of energy, 3.4 grams of carbohydrates and 0.1 grams of fat. Radishes also contain many vitamins and minerals, including vitamins B1, B2, B6, B9, vitamin C, calcium, magnesium, manganese, iron, phosphorus, fluoride, and potassium. Radish leaves are sometimes used on menus such as soup or stir-fried dishes. Some people use it as a juice mixture too. Radish root is commonly used by the community as a medicine to treat inflammation of the mouth and throat, disorders of the stomach and intestines, bile ducts, infections, fever, cough, bronchitis, and excess mucus in the respiratory tract. Unfortunately, various scientific studies are still needed to prove these uses. 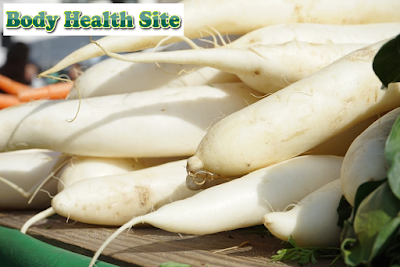 Radish root is likely to fight bacteria in the body and stimulate digestion and the flow of bile ducts. Benefits of radish as a diet companion because a cup of this vegetable only contains 19 calories. Radish seeds that taste spicy and crispy are sometimes used as a blend of salad dishes. The benefits of radish are not only for humans but also as animal feed. For children, turnip can be the right vegetable as an experiment for planting plants for children. In the world of agriculture, the smell of radishes that are stinging and not liked by insects is effectively used as a companion plant for the main plants. In addition, turnips also help prevent erosion and fertilize the soil. Radish seeds contain more than 48% of the oil that can be processed into biofuels, namely fuel produced from plants. Biofuel aims as alternative fuel oil. How do you process turnip into a healthy dish? You only need to prepare supporting food ingredients which are generally already in the kitchen. After all the ingredients are ready, mix everything into a large bowl. Sprinkle enough mustard and stir again until evenly distributed. In general, most radishes are consumed by most people. But there is no research and information about the effects on breastfeeding mothers and pregnant women. In addition, large amounts of radishes are at risk of causing irritation to the digestive tract. Therefore, avoid consuming turnips if you have gallstones. 0 Response to "Benefits of Radish, From Herbal Medicines to Diet Foods"